From November 27-29, 2018 in Jakarta, EMpower organized and facilitated a Learning Exchange in partnership with Credit Suisse titled “Access to Decent and Skilled Work,” for grantee partners that utilize Technical and Vocational Education and Training (TVET) in their work empowering youth. 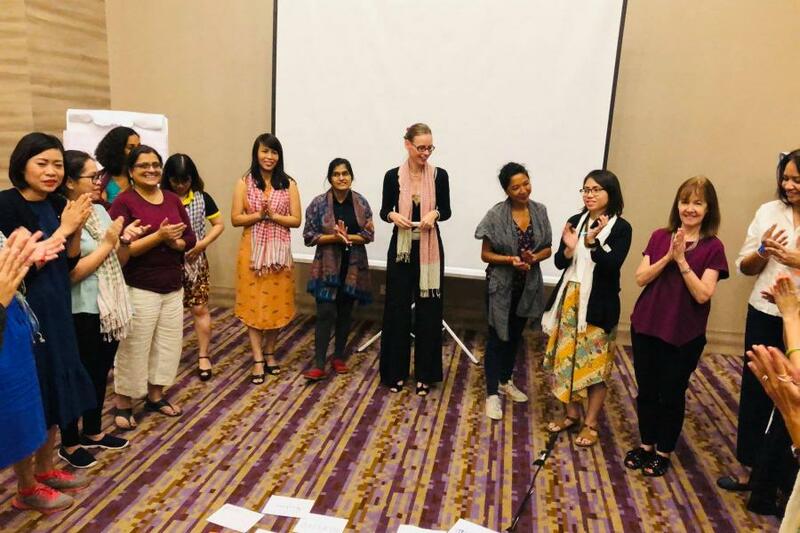 Seventeen participants from 10 EMpower and Credit Suisse local grantee partners attended the exchange, who implement vocational training programs for at-risk young people in Cambodia, Indonesia, Philippines, Sri Lanka and India. The organizations represented at the exchange were Friends International, Red Nose Foundation, ROLE Foundation, Passerelles Numériques Philippines, ZOTO (Zone One Tondo), Foundation of Goodness, KOTO (Know One Teach One), REACH, Azad Foundation and Medha. The young circus group from EMpower grantee partner Red Nose Foundation also put on a great show during a dinner, setting the tone for the workshop! The agenda for the workshop was personalized to address the existing strengths and needs of the participants. It covered topics such as methods for successfully recruiting young trainees and teachers, developing quality curricula for life skills, strengthening alumni to help future graduates, and ways to create networks of employers and funders. The participatory exchange allowed space for healthy and insightful discussions. Thank you to each participant, whose shared experiences and expertise will help empower youth more effectively through vocational training, and to our co-funder Credit Suisse, whose support made the Learning Exchange possible!